The Ballooërveld lies to the north of the village of Balloo. On the Ballooërveld you can really touch the Ice Ages: the glittering white sand from the Elster Ice Age, boulders and gravel brought here by the ice of the Saalian Ice Age and a number of collapsed pingos – the remains of ice hills – from the Weichsel Ice Age … The gravel which lies on the surface in some places is quite striking. It forms a very hard ‘floor’ of clay containing small flint stones, grit and pebbles cemented together. This layer was what remained when the ice melted and the wind later blew away the covering sand. A number of collapsed pingos can be found on the Ballooërveld. During the last Ice Age they were high hills of ice. Once the ice melted, the pingos left deep craters behind. The craters filled up with water and later they filled up with peat. Before people settled in today’s villages of Balloo and Rolde, this is where their houses stood, where their fields lay, and where they buried their dead. Spread over the Ballooërveld are dozens of burial mounds or tumuli. Many mounds in the southwest near the Mandenberg have been excavated. Archeologists believe that in prehistory people were buried here on the Ballooërveld over an uninterrupted period of at least 3,000 years. 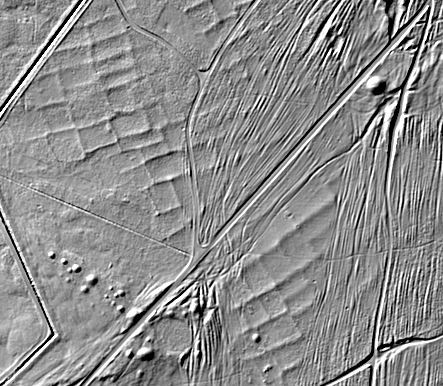 Clearly visible across the Ballooërveld from the Gasterensche Diep to Rolde are signs of the ruts left by carts which crossed this area in past centuries. At that time the church tower of Rolde in the distance acted as a beacon in an endless sea of heathland. The Ballooërveld lies between the stream valleys of the Loonerdiep and the Gastersche Diep. 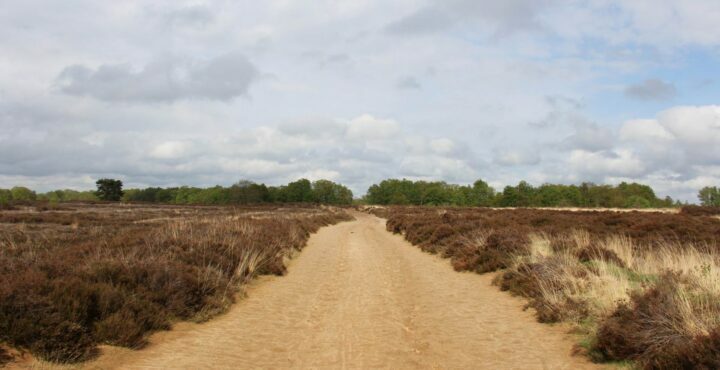 It is the largest heathfield in Northern Drenthe. To the north these two streams meet in the Oudemolensche Diep. The Ballooërveld is a unique place in the river valley of the Drentsche Aa. The higher areas are so sandy and dry that only heather can grow here. You may well meet the shepherd here with his flock of sheep. Along the edges the terrain runs down steeply and water collects in the lowest places. In the Drenthe dialect these areas are called ‘stroeten’. From here little brooks, like the Smalbroekenloopje on the western edge of the area, flow down into the stream valleys.